Verbier looks like a Swiss cheese! Swiss cheese, holey as it is, has nothing on Verbier right now. 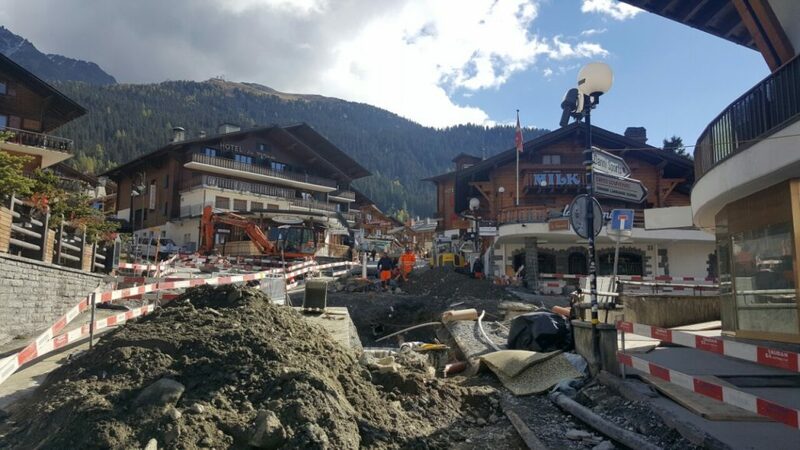 Like most spring and autumns, a number of roads are under construction in Verbier, so there are literally holes everywhere! They have organised alternative routes to avoid the roadworks. Basically, journeys can be significantly longer depending where you want to go! The most significant projects concern the following roads. Rue de Médran, Rue de la Poste, Rue du Centre Sportif and Route de Verbier-Station. The works include the laying pipes for a communal central heating system, the repair of various pipes and some nice new wide pavements. As you can see, the road works which started a few years ago are well under way. There are planned roads works for spring and autumn over the next few years. Do not panic, because the holes will have disappeared in time for the winter season! Come discover these new achievements this winter and why not book a ski lesson with one of our ski instructors to see it all from above! https://alpinemojoskischool.com/wp-content/uploads/2016/10/20161021_12582301-1.jpg 720 1280 brightdesign https://alpinemojoskischool.com/wp-content/uploads/2018/06/AlpineMojo-Long-No-Bckgrd-1-300x80.png brightdesign2016-10-21 15:24:592018-09-01 16:38:05Verbier looks like a Swiss cheese! 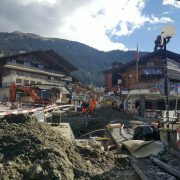 Verbier ressemble à un morceau d’Emmental ! Is skiing like ‘riding a bike’?